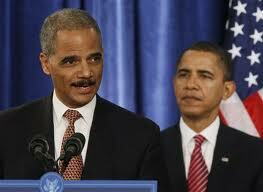 Eric Holder and friend – Drug Lords? The agents, primarily with the Drug Enforcement Administration (D.E.A. ), have handled shipments of millions of dollars in illegal cash across borders, those officials said, to identify how criminal organizations move their money, where they keep their assets and, most important, who their leaders are. They said agents had deposited the drug proceeds in accounts designated by traffickers, or in shell accounts set up by agents. And who is to prove this is not for the benefits of the agents, or of their higher ups. Can this be the explanation for Fast and Furious where Holder has been sending thousands of guns to the Mexican cartels? Big money can corrupt big people. We all know that Washington is corrupt– but just how corrupt may be a big surprise to the American people. Agency officials declined to publicly discuss details of their work, citing concerns about compromising their investigations. But Michael S. Vigil, a former senior agency official who is currently working for a private contracting company called Mission Essential Personnel, said, “We tried to make sure there was always close supervision of these operations so that we were accomplishing our objectives, and agents weren’t laundering money for the sake of laundering money.” Yeah, sure! Another former agency official, who asked not to be identified speaking publicly about delicate operations, said, “My rule was that if we are going to launder money, we better show results. Otherwise, the D.E.A. could wind up being the largest money launderer in the business, and that money results in violence and deaths.” Which is exactly what is happening. Those are precisely the kinds of concerns members of Congress have raised about a gun-smuggling operation known as Fast and Furious, in which agents of the Bureau of Alcohol, Tobacco, Firearms and Explosives allowed smugglers to buy and transport guns across the border in the hope that they would lead to higher-level operatives working for Mexican cartels. U.S. Treasury Secretary Timothy Geithner is involved in the money laundering. After the agency lost track of hundreds of weapons, some later turned up in Mexico; two were found on the United States side of the border where an American Border Patrol agent had been shot to death by one of Holder’s weapons. Former counternarcotics officials, who also would speak only on the condition of anonymity about clandestine operations, offered a clearer glimpse of their scale and how they worked. In some cases, the officials said, Mexican agents, posing as smugglers and accompanied by American authorities, pick up traffickers’ cash in Mexico. American agents transport the cash on government flights to the United States, where it is deposited into traffickers’ accounts, and then wired to companies that provide goods and services to the cartel. In other cases, D.E.A. agents, posing as launderers, pick up drug proceeds in the United States, deposit them in banks in this country and then wire them to the traffickers in Mexico. 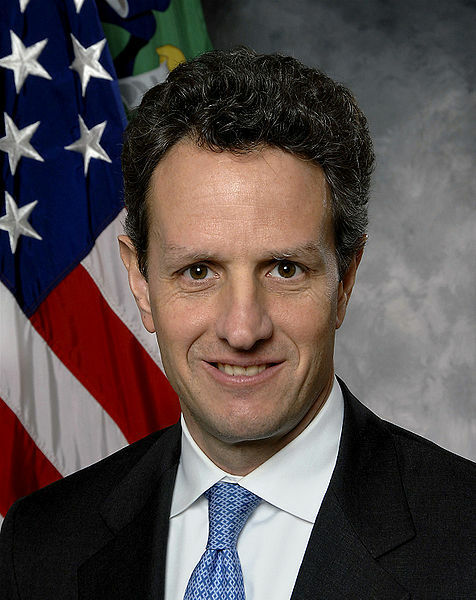 Since all amounts in excess of $10,000 that are sent out of the U.S. must be declared means that the U.S. Treasury Department and Tim Geithner are a part of this illegal operation. And the former officials said that federal law enforcement agencies had to seek Justice Department approval direct from Eric Holder to launder amounts greater than $10 million in any single operation. How corrupt can Washington get? “This project was failed and flawed from the beginning,” said Rep. Darrell Issa, R-Calif., questioning why Holder has not terminated the “many people involved” with the program. “Mr. Attorney General, the blame must go to your desk,” Issa said. A high-powered rifle lost in the ATF’s Fast and Furious controversy was used to kill a Mexican police chief in the state of Jalisco earlier this year, according to the U. S. Department of Justice. Luis Lucio Rosales Astorga, police chief in the city of Hostotipaquillo, was shot to death last January 29 along with one of his bodyguards. Astorga’s wife and a second bodyguard were wounded. The semi-automatic WASR rifle, which killed the chief, was traced to the Lone Wolf Trading Company, a gun store in Glendale, Arizona. The WASR used for the kill was bought Feb. 22, 2010 by 26-year-old Jacob A. Montelongo of Phoenix who personally obtained at least 109 firearms during Fast and Furious. The U.S. ATF officials said they are still compiling an inventory of all the lost firearms for a complete account of the Fast and Furious operation. Of course that study will never be completed as almost all the weapons were lost as they flooded across the border into Mexico. Some 211 people were killed or wounded by Fast and Furious weapons in Mexico. In the U.S., Fast and Furious weapon was used to kill U.S. Border Patrol Agent Brian Terry in 2010. Since Fast and Furious made no sense and was purposefully run out of control it is a fair bet that some Washington higher-ups were getting huge kickbacks from the Mexican drug cartels.